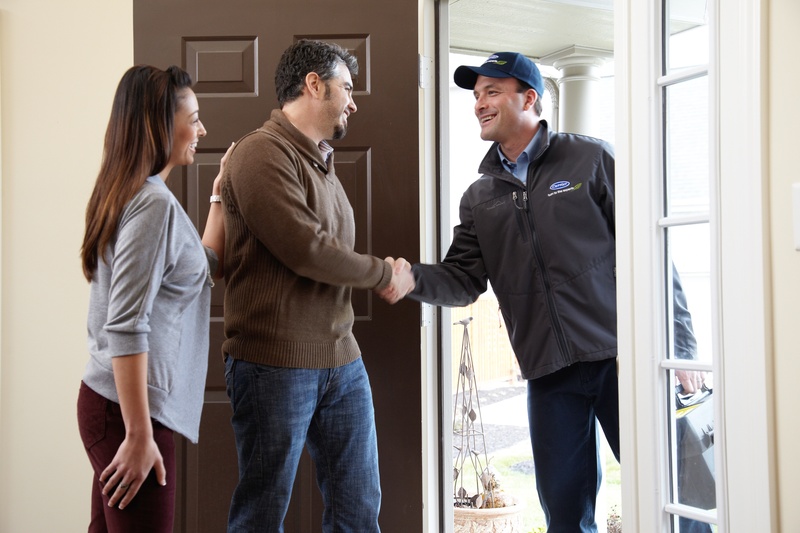 Whether you’re buying a house or have lived in one for some time, there is no question that you’ll be faced with addressing your heating and cooling needs at some point. A furnace is a big investment and you want something that’s going to be both reliable and efficient. But since home heating systems often last for many years and aren’t a frequent purchase, how do you know where to begin? There’s a lot to consider when buying a furnace and we are here to assist you through the process. That’s why we’ve created this Complete Guide to Buying a New Furnace — a one-stop-shop with everything you should consider when purchasing the best heating system for your home and individual needs. There have been remarkable advances in recent decades in home heating technology, so the good news is, upgrading your furnace will certainly give you more bang for your buck in the long run. But before you dive down the path of furnace shopping, it’s wise to familiarize yourself with the three basic types of furnaces; single stage, two-stage (sometimes called multistage), or a modulating heating system. This is the type of furnace most people are familiar with. It has one size flame that is either full-on or full-off that typically maintains temperature within a couple of degrees of the setting on the thermostat. You can tell when it’s coming on, because you can hear it rev up before the warm air starts blowing through the vents. Once it hits the proper temperature, it shuts down and the cycle starts all over again. This provides basic heating needs and meets basic comfort levels. This is a newer kind of furnace (within the past 15 years), which has two sizes of flames in one unit: a smaller flame when the temperatures are mild, and a bigger flame when the temperatures are colder. This system provides more constant, steady heat versus the “on and off’ of a single-stage system. The cycles run longer and more continuously to provide greater levels of comfort. This furnace keeps your home within about one degree of its set temperature at all times. This is the best option in terms of comfort, as it keeps your home within about .2 of a degree of the thermostat’s setting. It’s able to micro-manage the flame, adjusting it up and down in very precise increments to give the maximum comfort level in your home at all times – a steady, even heating. Now that you know the basic types of furnaces out there, it’s time to calculate what capacity, or size of furnace, best suits your needs. Basically, how much power and energy you’ll need in a unit to adequately heat your home. Estimating your basic heating needs is relatively straightforward, with climate and square footage as your biggest factors. It’s no surprise that heating capacity needs vary by climate. For instance, you’re going to need a lot more heating power during a Minnesota winter than you would during a mild winter down south. 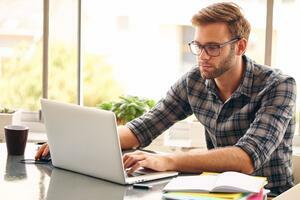 First, you’ll want to determine your heating factor. Your heating factor is a value that’s based on climate and your home’s BTUs, or British Thermal Units, a standard unit of heat. Simply put, a BTU is a measurement of the heat leaving your home (heat loss) or coming in (heat gain). Manufacturers often rate their furnaces in terms of BTUH capacity (for BTUs per hour). If you’re still scratching your head, this helpful blog post can help you do the furnace sizing math. Now the fun part, furnace shopping! When it comes to selecting your specific new unit, you have an abundance of options. This section of the guide is intended to provide you with enough knowledge, so you feel well-equipped to make the right decision. Though furnaces can run off of a variety of energy sources, the two most common in homes are electric and gas furnaces. There are a number of considerations when deciding between an electric or gas furnace including cost, effectiveness, safety, compatibility and more. Basically, a gas furnace takes in the cold air, cleans it through your air filter, then heats the air up with a gas burner before distributing the warm air through your home's ductwork. The heated air eventually cools down in your home's various rooms and then makes a trip back to the furnace through return air grilles and ductwork, where the process starts all over again. The primary perk of a gas furnace is low operating costs. Natural gas prices have been very low in the upper midwest for many years. Although, if you don’t currently have gas lines leading to your home, that’s an additional installation cost to keep in mind. An electric furnace is similar to a conventional gas furnace except that it produces heat with electric heating elements instead of gas burners. 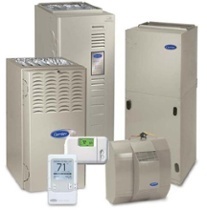 Generally, the upfront costs of an electric furnace are lower than the cost of a gas furnace. However, these units tend to use a lot of electricity, so your operating costs could wind up being more in the long run (unless you have yet to install gas lines for a gas furnace). Electric furnaces also do not use transfer heat. Some benefits to an electric furnace, however, is that you don’t have to worry about a live flame, flue gases, or potential gas leaks. Finally, another benefit with electric heat is that you may qualify for a "Dual Fuel" or "Off-Peak" program with your local electric utility. With this program, your electric company provides heavily discounted power, saving you as much as 40%, in return for allowing them to turn off the electric heat (just the heat, not all of your electric power) when there is a peak demand. This requires a backup heat system, which will add to the upfront costs. But in the long run, these dual systems save homeowners a lot on their fuel bills, particularly in rural areas where propane is the only gas option. Choosing a furnace with a high-performance motor might be one of your best investments. ECM stands for an electronically commutated motor, which may not mean much to the average homeowner, but there are two terms you should become familiar with in regards to ECMs: variable speed and high-efficiency motors. Traditional furnace motors operate either in “on” or “off” states, or with three or four “on” speeds – low, medium and high. By contrast, an ECM varies its speed in response to changing heating (or cooling) needs. That means you’ll experience precise, consistent temperatures throughout your home and your system will operate more efficiently. The design of a variable speed motor in itself makes it inherently more electrically efficient, but because the motor speed varies as needed, it also isn’t constantly operating at high capacity. Instead, it operates at lower capacity over a longer period of time. That results in reduced fuel usage and lower energy bills. Many new furnace models now feature ECMs, and surprisingly, they’re not a lot more expensive than furnaces with standard multi speed motors. In general, high ECMs tend to be low maintenance, have a longer lifespan and improve air quality. Here are a few other reasons why high-performance furnace motors are worth the investment. You should also consider comfort features available in a furnace, like noise and temperature control. For some, the noise level (or lack thereof) is very important. Generally speaking, the higher the quality of furnace, the quieter the system will be (in other words, you get what you pay for). For others, the ability to precisely control airflow, temperature and humidity levels is key. There are furnaces that provide high levels of both – and if you do your research, you’ll find the right furnace to fit your needs. Furnaces are given a rating with something called Annual Fuel Utilization Efficiency (AFUE). Simply put, the AFUE calculates the efficiency of gas-fired furnaces and boilers. It measures how efficiently the furnace can convert gas into heat energy and is expressed as a percentage. The measure can also indicate how much fuel is used to heat your home, as well as how much of it is being wasted. High-efficiency units range from 90-97% AFUE and therefore are your best choice. There are even some state and federal laws in place that require these models be installed, depending on your location. Furnaces in this efficiency range require special venting, usually made of a particular type of plastic (a topic we’ll address in our next chapter). Less efficient models are in the 80- 83% range, sometimes called mid-efficient furnaces. 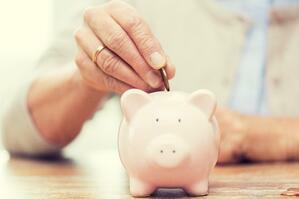 Energy efficient systems not only help the environment, they save you money. Of course, the more efficient the system, the lower the energy bills, but most energy efficient systems also qualify for special rebates to help offset the cost found on the price tag. As with most qualifying rebates, you can save money right from the start by getting money back from the manufacturer, but you can also get money back in the form of state and local rebates. Some manufacturers also work with lenders to offer good deals to their customers who need even more flexibility. For instance, if you need to forgo a one lump sum payment upfront through financing options. As with any big purchase, it’s never a bad idea to read customer reviews, and in today’s world, there are plenty out there! Some are really helpful, some not so much. So how do you know which furnace reviews to trust? First, it’s important to take a look at the source. What are their qualifications? What’s their tone in the review? Does it seem fair, balanced or reasonable? Does it cover some of the details you had questions about? When reading reviews, we also recommend making sure the manufacturer you’re considering is reputable and that you’ve done your homework. Researching the manufacturer, understanding what you get for your money and learning about the incentives, warranties and the installation process will help you make the best choice. It’s important to understand what you’re getting for your money before you invest in a furnace, as it’s something you’ll be living with for the next 15-20 years. As you’re likely aware, it takes more than just the furnace unit itself to get heat pumping throughout your home. In order for your furnace to perform its best, there are other heating components that must all be in sync. This includes your home’s ductwork, vents, and chimney — for starters. If your furnace is in need of a replacement, chances are some of these other home heating elements will need an upgrade as well. 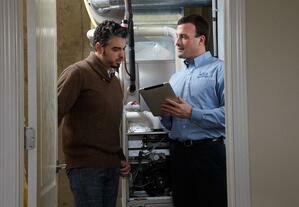 Here are the ways these three components can impact the overall cost of buying a new furnace. In order for heat to disperse throughout your home, you need ductwork. Ductwork systems are unique to each home in that they are retrofitted upon construction to provide the most optimal airflow for that particular space. 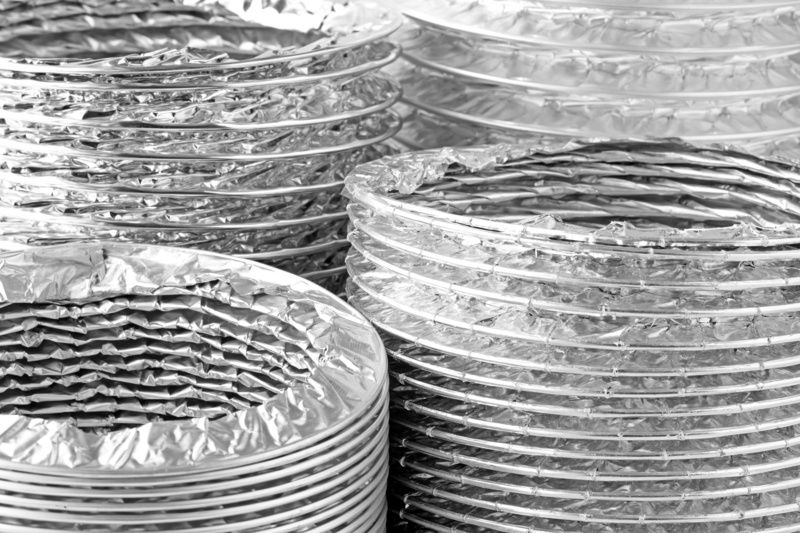 The good news is, as a homeowner, the arrangement and installation of ductwork structure is something you need not worry about (for the most part). Those who’ve designed your home likely addressed this for you. 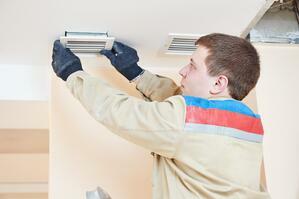 But will buying a new furnace mean you need to replace your current ductwork? The answers is, it depends. If you are buying a furnace similar to your old one (maybe just a higher-efficiency model) and your current ductwork is in good condition, you might be in the clear. However, it’s still a good idea to consult with an HVAC professional on this if you’re buying a new furnace. They can accurately test whether or not your current ductwork can handle your new unit. And if they don’t identify any issues, only the near-furnace ducts may need to be modified to fit the new furnace and AC coil. That same professional may discover that your current ductwork is a root cause of your heating issues, like say if the old ductwork has leaks. If that’s the case, what will it cost you? First, it depends whether or not you’re entire ductwork system needs replacing, or just a portion. 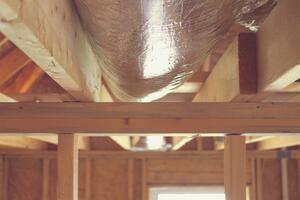 In general, the average home will need 30-90 linear feet of ductwork at an average cost of $35-$55 per foot. That brings the average cost for a full replacement to between $1,000 and $5,000. This varies because there are a number of factors affecting your individual expense, including the size of your home, the materials being used and the local market rate. When you see the word chimney, you may think of a fireplace. But, while chimneys are a component to that cozy in-home amenity, they also can function to conduct hot flue gases to the outdoors from other heating devices like your furnace or water heater (though that’s less common with modern HVAC systems). Regardless of the heat source, chimneys can have an effect on your furnace and overall heating bill, so it’s also a cost to keep top of mind as you’re preparing to buy a new furnace. 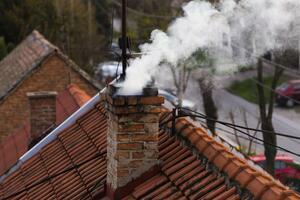 Is Your Chimney Compatible with Your Furnace? If you’re updating your furnace, your chimney may also need an upgrade, too. Or you may learn that you don’t even need one anymore! Today’s gas furnaces operate super-efficiently, so they use an entirely different type of furnace venting system. So before you go through with chimney repairs it’s important to familiarize yourself with high-efficiency furnace venting. 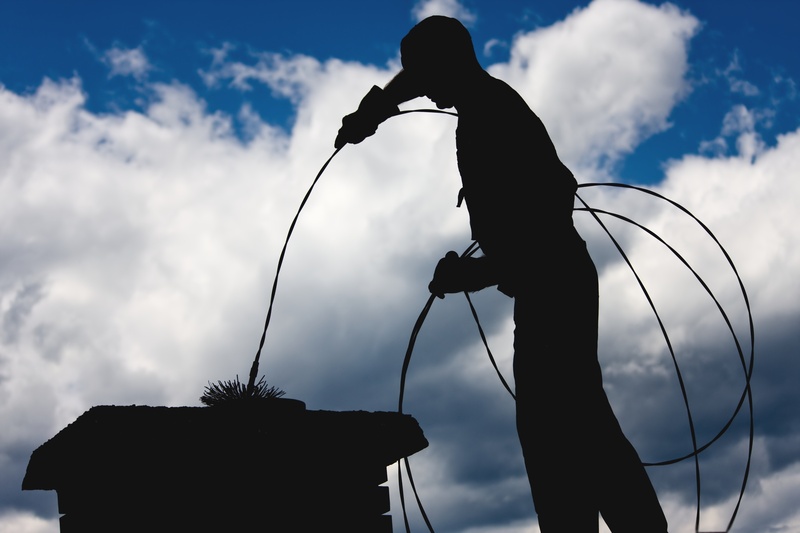 In fact, sometimes the cost of a chimney repair may be even greater than the cost of upgrading to a new furnace that uses a different method of ventilation. Similar to your air ducts, a professional chimney inspection is advised when replacing a furnace. In general, a yearly chimney inspection isn’t a bad idea, either. Spring is generally the best time for a chimney inspection because you are just coming off of high use during the heating season. When we refer to furnace venting, that’s not to be mistaken for the grilles or registers found in each of your rooms, but the vent system conducting flue gases to the roof or side of your home. 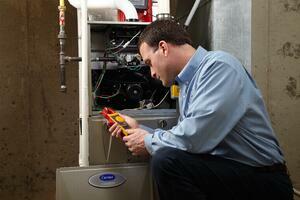 If you’re considering a furnace upgrade, its venting needs may change. For instance, whether your furnace requires plastic or metal venting. The venting material depends on your furnace’s operating temperature, which is related to the fuel being used. For example, wood and oil flue gases are very hot and require metal venting. Gas furnace flue gas temperatures vary depending on the type of furnace and its efficiency. The newer, higher efficiency furnaces run much cooler, so plastic venting may suffice. The key to even the most sophisticated home heating system is situated right there on your wall. Thermostats have come a long way since the days of twisting a dial and hoping to land on the right temperature. So, if you’re updating your furnace, it’s probably worthwhile to modernize your thermostat while you’re at it. Now, sophisticated thermostats are available that can easily manage comfort levels, energy use, and costs — and allow you to go about your days without worrying about home comfort issues, at all. Though not commonly found in today’s market, many older homes are still equipped with a non-programmable thermostat. Again, there’s that old-fashioned dial thermostat where you manually twist the knob to set the temperature setting, but there’s also your basic digital thermostats. These are a step up from the old knob, but control temperature using the same approach. The problem with both of these, however, is that homeowners must manually change the temperature setting. For some people, this means fiddling twice a day to warm up your home. 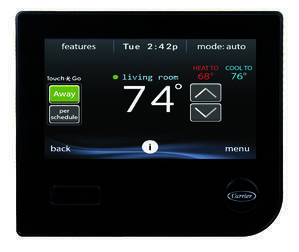 Nowadays, programmable digital thermostats are the standard. Rather than a stagnant setting, these thermostats automatically adjust the temperature for optimal comfort and flexibility. Programmable thermostats come in many levels – from the sleek and simple, to the super deluxe models that can control temperature, humidity, air quality, fan speed, ventilation and even detect when your air filter needs replacing. 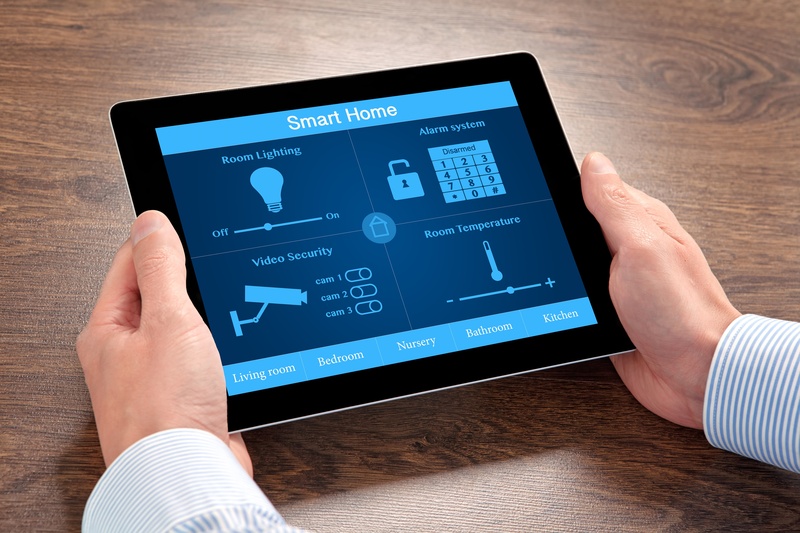 Thanks to the Internet of Things (IoT), you can turn down the heat, turn on the lights, adjust the shades and lock the doors simply by tapping a phone app or talking to a digital assistant. Smart thermostats changed the way we work with home heating and air conditioning, too. They intelligently adapt beyond manual programming to learn and identify ideal settings for greater efficiency, create energy usage reports and even alert you when it's time for routine maintenance. You can easily control your comfort settings and set or change your schedule remotely via phone app or wi-fi connection (Hello, Alexa). But a smart thermostat must be compatible with your HVAC system to work its magic. For instance, Carrier developed its line of Côr® Thermostats to be readily compatible with a number of brands and types of systems. We hope you’ve reached this point in the guide with a greater understanding of the types of furnaces and control systems out there — and maybe you even have an idea as to which ones you’re considering for your home! Now the next piece of the puzzle, who should you turn to for sound advice and installation? How quickly is your company capable of responding to emergency calls? Does your company offer any maintenance or service plans? Can you offer any references of past clients that I could contact? Are your technicians familiar with my system? Have they been factory trained? To ensure that your heating, ventilation and air conditioning system receives superior service and installation, it’s not a bad idea to also ask your dealer whether their technicians have received North American Technician Excellence (NATE) certification. NATE-certified technicians have gone above and beyond in their field to pass a technical assessment, which results in this special distinction. As with any big investment, you want it to last — same goes for your furnace. 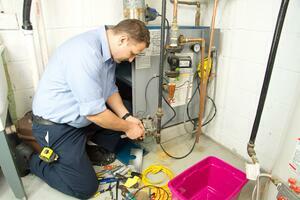 Regular maintenance is proven to increase efficiency and extend the life of your HVAC system. Changing Filters: Filters should ideally be cleaned monthly, and replaced if needed. This is the simplest and cheapest way to help make sure your systems can operate properly. Vents: Make sure your vents are clear of any blockages and allow for proper airflow. Drains: Clean the drain line to your humidifier if you have one. If your furnace has a drain line (high-efficiency furnaces have condensate drains) it requires cleaning every few years. Also, make sure to clean the condensate trap. If you are unsure how to do it, check with the owner’s manual or ask your heating pro. Drafts: While the weather is warm, make sure to reduce drafts in your house and get them fixed. Caulking windows and replacing weather stripping is far more enjoyable in summary temperatures than on a 30-degree blustery fall day. Check-up: Mark your calendar to schedule a regular maintenance check-up early in the fall. By having an HVAC technician inspect your system, give it a tune-up and make repair recommendations, you can be confident your system is ready for the winter ahead. In general, routine maintenance reduces the chance of a breakdown and ensures your furnace will perform efficiently, to keep you cozy without wasting energy. Whether your system is new or old, we recommend having these five preventative furnace maintenance tips for an efficient HVAC system in your back pocket.